/EINPresswire.com/ -- NORTH BILLERICA, MA--(Marketwired - Mar 21, 2017) - Aved Electronics, Inc. has introduced custom manufactured military cable assemblies and wire harnesses. The firm is an ITAR registered SBVO (Small Business Veteran Owned) company. 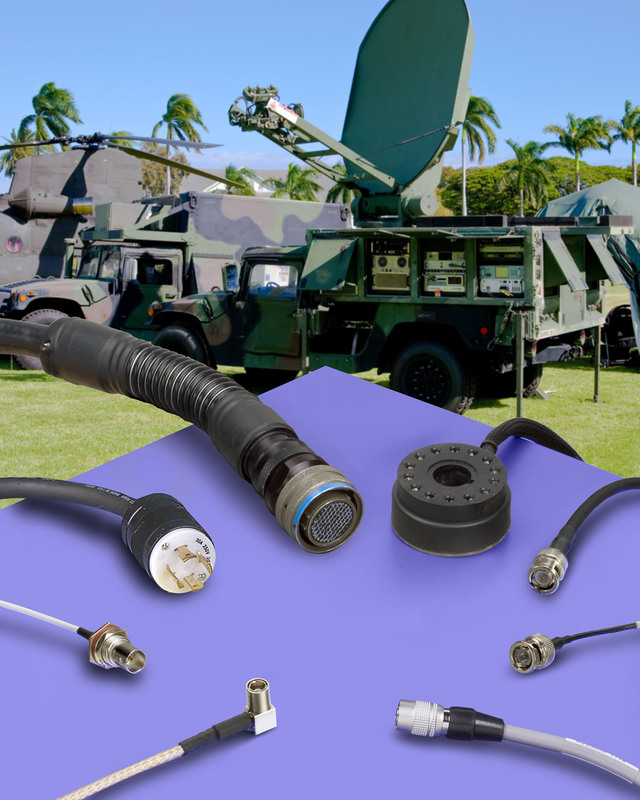 Aved Military Cable Assemblies are custom manufactured using MIL-Spec wire, cable, boots, transitions, tubing, contacts, terminals, connectors back-shells, and adapters. Ideally suited for drones, missiles, weapon systems, antennas, telecommunications equipment, and similar applications, they are 100% electrically and mechanically tested with full lot-to-lot traceability. Incorporating virtually any type of positive locking connectors and quick-disconnects from leading manufacturers, Aved Cable Assemblies and Military wire harnesses can be fabricated with 4 to Ga wire and fiber optics. Providing quality control that conforms to MIL-I-45208A, all delivered cable assemblies are labeled and packaged in accordance with MIL-STD-129. Aved Military Cable Assemblies are priced according to configuration and quantity. Price quotations are available upon request. Established in 1979, Aved Electronics, Inc. offers a full range of services to support the wire & cable harness, electro-mechanical box build, and the battery power segments of the market, including a wide range of hand-held and mobile technologies. The company services clients ranging from start-ups to Fortune 500 companies in the defense, homeland security, medical, military, semiconductor, scientific, and telecommunications industries. Aved Electronics, Inc. is one of the largest independent battery pack producers in New England and specializes in the development and production of high reliability battery applications. The firm has partnered with global leaders in cell manufacturing to offer the latest technologies. A veteran owned and operated small business that has supported New England OEMs for over 30 years, Aved's philosophy of personal service, hands on management, and attention to detail is the result of their deep roots in the community.